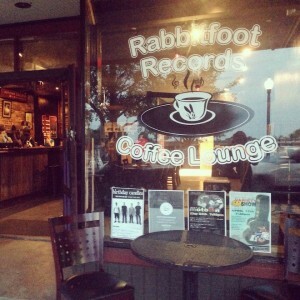 Whether you’re seeking vintage vinyl, current current jams, or just some great coffee and interesting conversation, Rabbitfoot Records is THE hippest gathering places around. Check out our live performances by both local and national touring acts. There’s always something going on, from Open Mic Poetry on Mondays to Open Mic Music on Wednesday’s, and full live bands on the weekends. Come on out and get your vinyl and caffeine fix! Check us out on FB or visit our web site for more info.